In the present era of Information and Communication technology, Mobile Phone is not an exception but the necessity. Moreover, Cell Phones are so convenient that their absence causes inconvenience. • 47% people feel annoyed when they don’t find a mobile-friendly website. • 66% of users of the internet are more inclined to buy from the mobile-friendly website rather than non-mobile friendly one. • Retention is more in a Mobile-friendly website. 72 % of people responded that when they visited the mobile-friendly website, they are more likely to return to the same website a second time. • 50% of the people responded that even if they like a particular business, chances of again visiting the website is more when there is a mobile-friendly website. • 51% of web traffic is through mobile phones. This is not the end – It is expected to reach 90% in near future. Why are Internet users Switching to the Mobile-friendly Website? In the present era of Mobile Technology, approximately 1.2 billion people on this planet are accessing the internet via mobile devices. It is incredible – 80% of all internet users use a Smartphone. If a person is online it is most likely they are using a Smartphone. The above-mentioned Statistics is related to almost half the story of the mobile phone. There is a lot more to accelerate and explore. As per new algorithm update, mobile-friendly websites will be ranked above those Desktop websites which are alike in all aspects but are not the mobile-oriented website. Google uplifts the rank of mobile-friendly websites on Search Engine Results Page for the simple reason that there is high traffic on the internet via mobile phone. Moreover, Google imposes the penalty for websites failing to follow mobile friendliness. 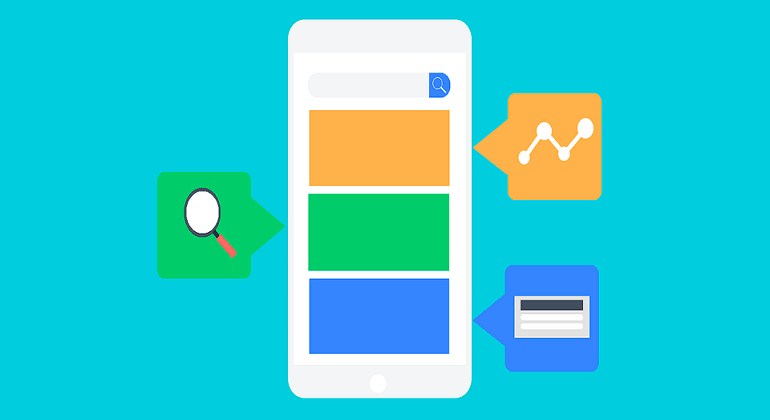 You can check for your website on Google mobile-friendly test tools. Some people have switched from desktop traffic to mobile traffic, but their behavior in terms of engagement on web traffic has accelerated. Reason being, Mobile is within the reach of arms of people for 24 hours and 7 days. Despite the limitation of limited bandwidth in Mobile Phones, people are hyperactive on the internet, visual media, social media and online shopping when they access the internet via mobile phone. So you can imagine how crucial it is to have a mobile web. As per the recent survey, some gigantic corporations are mushrooming and most of the small businesses have limited growth for the simple reason that 56% of small business websites are mobile friendly. So if you are a small entrepreneur thinking big, you have a fantastic opportunity to stand apart from the hyper-competition. You just need to design and implement the mobile-friendly website. It is an easy way to gain a competitive advantage. Mobile friendly website significantly increases Valuable user experience and satisfaction as the user does not have to engage in time-consuming activities- sitting on a chair and open the Desktop computer. Instead mobile is handy and within the reach of arms- 24 hours and 7 days. Mobile friendly websites are specifically designed for handheld devices – they fit exactly to the screen size and make the user comfortable. This results in customers experiencing a positive impression and a high level of satisfaction. More people use the Smartphone than a desktop computer and Load up time on mobile is faster in the case of a mobile-friendly website than a desktop-oriented website. Mobile websites have a high download speed allowing more browsing and less waiting thus delivering the best possible value. Google Place search is more effective via mobile rather than Desktop Computers because they are not handy. If you are driving tirelessly for many hours and you want to know the nearest restaurant you can easily Google the nearest restaurant and reach there for lunch or dinner. The most visible benefit of the mobile-friendly website is you have to use one finger and rest of the nine fingers is at rest. To sum up, for optimizing the use of your business resources, you need a mobile-friendly website.